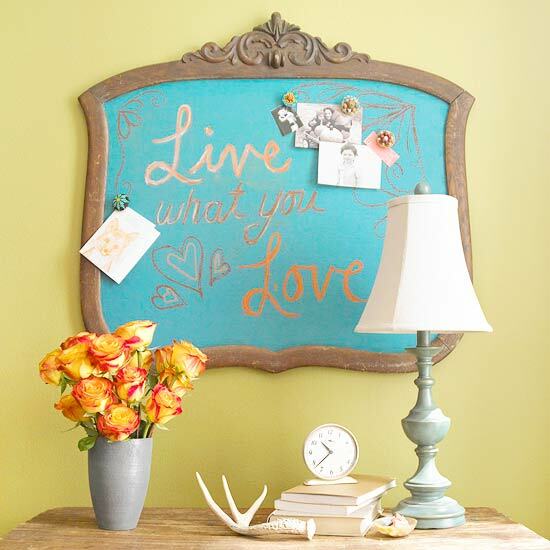 Liven up your living quarters with these sophisticated yet simple chalkboard paint projects. I hope you like it .. Enjoy !! 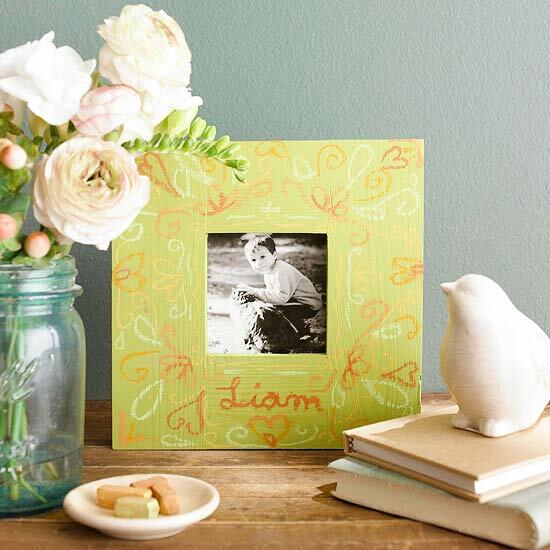 Upcycle a plain wooden photo frame with chalkboard paint. Prime the frame, then paint on a coat of chalkboard paint (Krylon and Rust-Oleum both have great color options). Let dry. Use chalk to update the caption as you change the photo. Vintage mirrors with great shapes abound at flea markets. Score one for a few dollars, then transform it into a sophisticated message center. Remove the mirror from its frame, or use painter's tape to cover the frame. Spray several coats of magnetic spray paint on the mirror. Let dry between each coat. Then apply a layer of chalkboard paint and let dry. Up the elegance factor at your dinner party or wedding table by converting a vintage platter into a beautiful menu display. Trace the oval base of your platter onto a thick piece of paper. Cut out the oval and center it on top of the platter, then trace an oval guide for the paint. (If the platter has a central oval edge, you have a built-in guideline.) 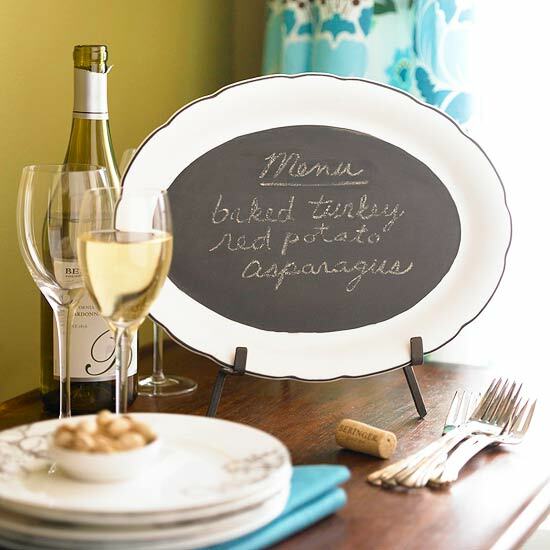 Use a steady hand and a small brush to stroke chalkboard paint inside the edges of the guideline. Roll the center with chalkboard paint using a small smooth-surface foam roller. Turn an old medicine cabinet into a sweet spot for lists and notes. First, remove the mirror or inner panel. (If you can't remove the mirror or panel, cute a piece of chipboard to fit.) Paint the mirror or your chipboard piece with two coats of chalkboard paint, allowing each coat to dry between applications. Tip: If you use a mirror, prime the surface first. Pop the mirror back in, or use Krazy Glue to secure the chipboard cutout in place. 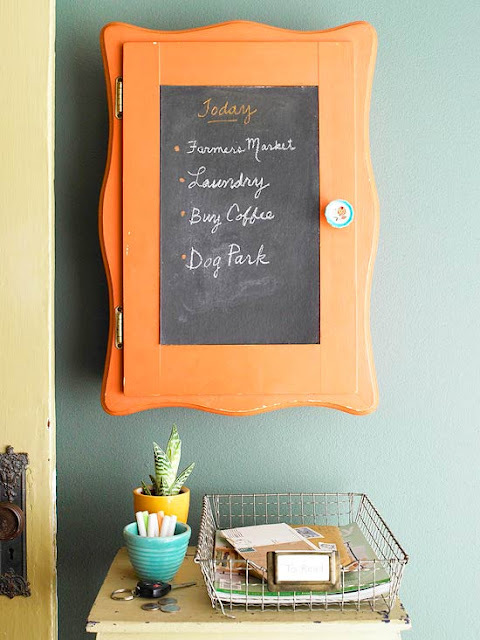 Use chalk to spell out the day's duties. 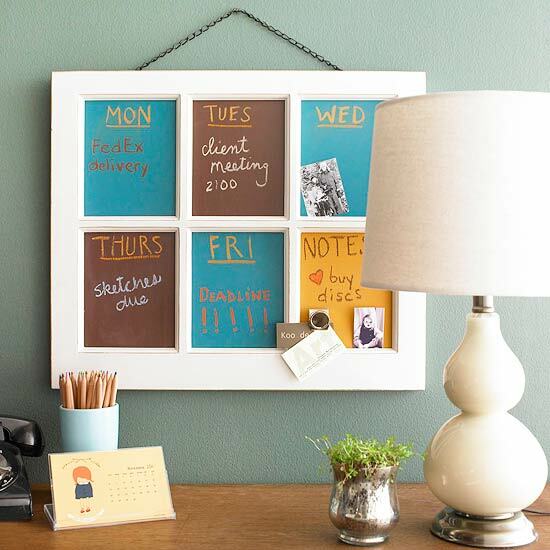 Transform a six-panel window into a home office calendar to ease your planning pains. Each day of the workweek is assigned a frame, and the sixth makes room for extra notes or magnets. Tape off the wooden frame with painter's tape. To make your calendar magnetic, spray several coats of magnetic spray paint on the front of the glass, allowing each coat to dry between applications. Then paint each pane with chalkboard paint using a paintbrush to edge and a small foam roller for smooth surfaces. 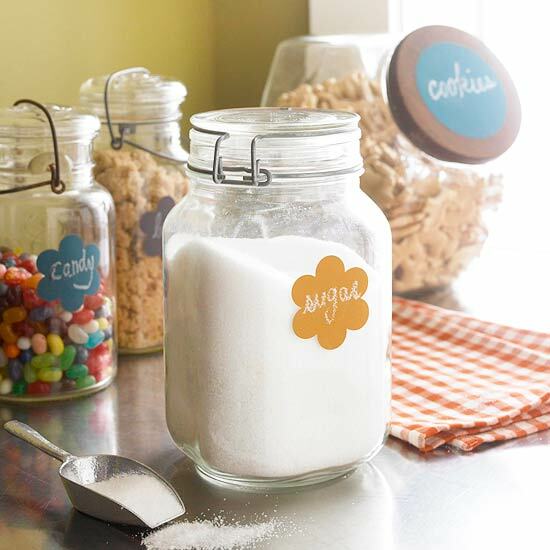 Add a little erasable oomph to your kitchen canisters with repositionable vinyl stickers that accept chalk marks (check dickblick.com and wallies.com for colorful options). Use a punch to cut out the labels. Remove the paper backing and position the label on the glass or wooden canister. The labels are easy to rechalk as you change their contents. 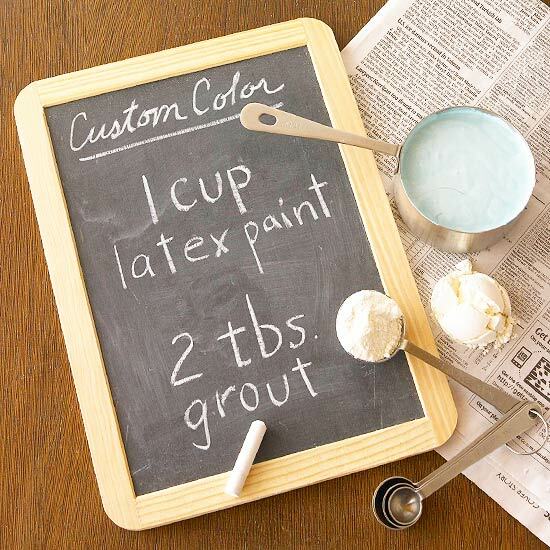 You can find chalkboard paint at almost any crafts or art store or home center. But if you're longing for a hue that's not available on store shelves, concoct your own. To create your own custom color of chalk-ready paint, simply combine 1 cup latex paint in your desired shade with 2 tablespoons of unsanded tile grout. Use a paint stirrer to mix. During application, gently sand the dry layers of paint between coats with 150-grit sandpaper. Apply several coats for best color.